This past week, Italy chose "Non Essere Cattivo" to be their Academy Award candidate to be submitted for the title of Best Foreign Language Film award this upcoming award season. Nine movies in total were up for this particular status in Italy, but ultimately it was decided that this 1990’s set drama was to move forward in the competition. Non Essere Cattivo (Don't be Bad) had some serious competition this award season in the fight for the chance to represent Italy at the Academy Awards Ceremony early next year. The film was chosen from the list of nine films that were screened and available to the public between October 2014 to September 2015. The Italian National Association of Film, Audiovisual, and Multimedia Industries (ANICA) made the decision at the end of September. The nine films that were submitted: Sangue del Mio Sangue (Blood of My Blood), directed by Marco Bellocchio; Il Giovane Favoloso (Leopardi), directed by Mario Martone; Latin Lover, directed by Cristina Comencini; L’Attesa (The Wait), directed by Piero Messina; Mia Madre (My Mother), directed by Nanni Moretti; Nessuno Si Salva da Solo (You Can’t Save Yourself Alone), directed by Sergio Castellitto; Non Essere Cattivo ( Don’t Be Bad), directed by Claudio Caligari; Vergine Giurata (Sworn Virgin), directed by Laura Bispuri; Per Amor Vostro (For Your Love), directed by Giuseppe M. Gaudino. The winner, Non Essere Cattivo, is set in the 1990’s and looks at dark lifestyles involving drugs, crime, and money in the small neighborhood of Ostia, just outside of Rome. 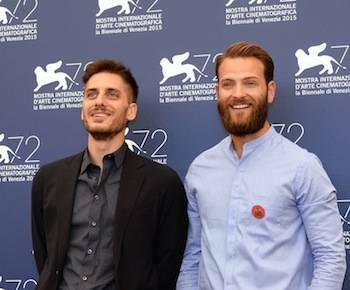 This story follows two best friends Vittorio and Cesare, played by Alessandro Borghi and Luca Marinelli, respectively, as the two become distanced for a time, and struggle towards coming back together again. well in the box office. Having only earned just under $300,000 in three weeks, the film was surely not as successful as some of the candidates it was against, which were highly acclaimed at movie festivals throughout Italy this year, but nonetheless it is Italy’s candidate. Since 1929, at the inception of the Best Foreign Language Film award, Italy has been nominated a total of twenty-eight times, and has taken home fourteen Oscars since. The last Italian film to win was in 2013 for La Grande Bellezza, or The Great Beautiful, directed by Paolo Sorrentino. Sorrentino produced a new movie this year, but the use of English left the film ineligible for the award. Due to the fact that Non Essere Cattivo had not previously been available to the United States, while some of the other candidates had, the committee found it preferable to choose this film other the others. Now that it was has been chosen, the film was shown to its first American audience last week at an Italian styled film festival. Eleven films were shown, including Paolo Sorrentino’s Youth, his English-speaking movie. Don’t Be Bad producer Valerio Mastandrea was anxious to hear critiques and viewpoints from the American public, in hopes of improving his filmmaking in the future. 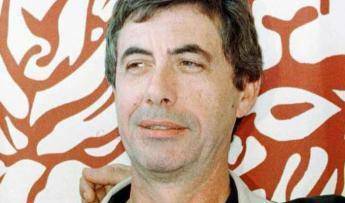 Unfortunately, for Don’t Be Bad, the film’s director Claudio Caligari passed away in May of this year, and was not able to see his final piece of work reach such acclaim. In his forty-year film career, Caligari produced such films as Amore Tossico and L’odore Della Notte. Final Oscar nominees will be determined on January 14, 2016. All candidates from around the world will be deliberated and cut down to a list of nine films that will then be dwindled down again to the final five by a separate committee. The 88th Academy Awards will be held on February 28, 2016.